With wear and tear, poor powder coating or even a dated colour scheme – whether you need an expert re-spray, or a high quality repair – our on-site spray team provide an excellent personalised service throughout the UK. 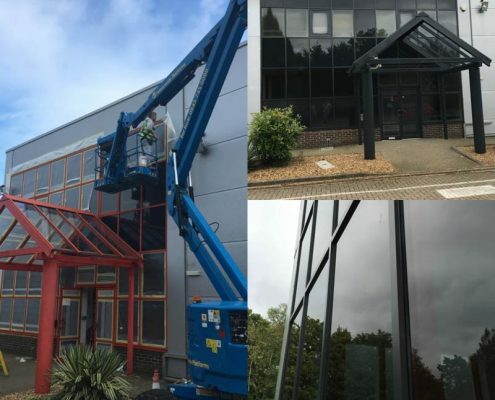 Our highly skilled specialists have over thirty years experience in the repairing and re-spraying of aluminium frames – whether it be commercial offices, hotels or other public buildings. 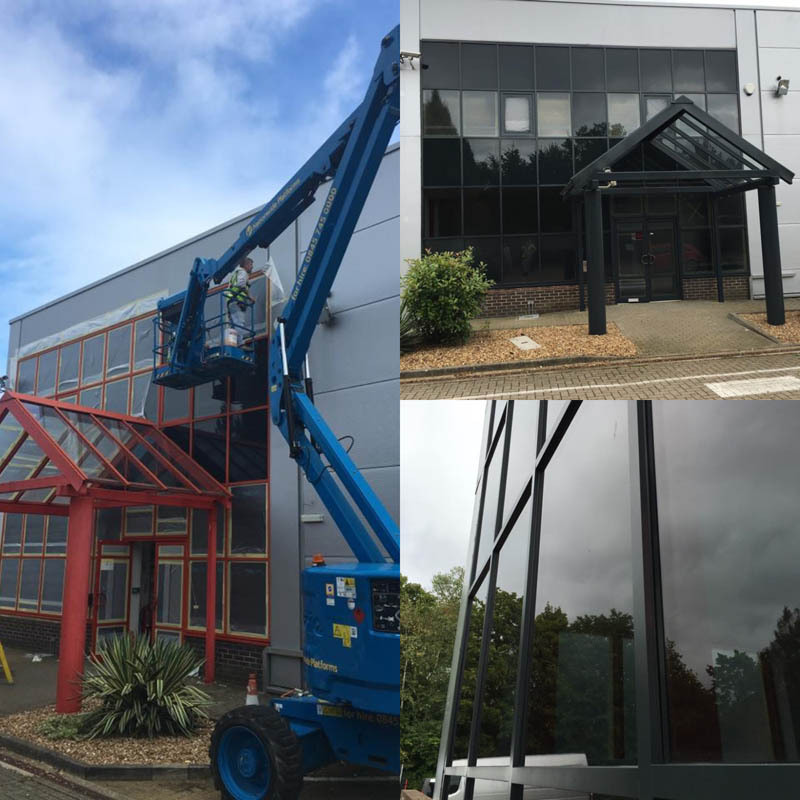 Being the UK’s leading company for on-site paint spraying, we are regularly required to carry out a variation of curtain walling re-sprays both internally and externally, guaranteeing a resilient and professional finish every time. 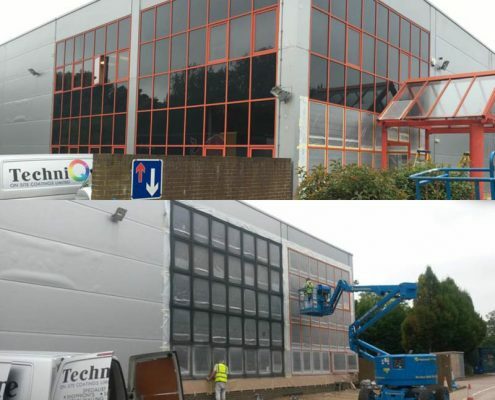 When repairing curtain walls we ensure the substrate is expertly prepared, filled and sprayed leaving an immaculate finish, either internally or externally. Our accurate masking method ensures no danger of overspray and that the damaged area is invisible following our works. When curtain walling is no longer aesthetically pleasing due to chalking/fading powder coating, or a dated colour scheme, replacing can be some people’s immediate thought – however, this can be an extremely costly exercise. 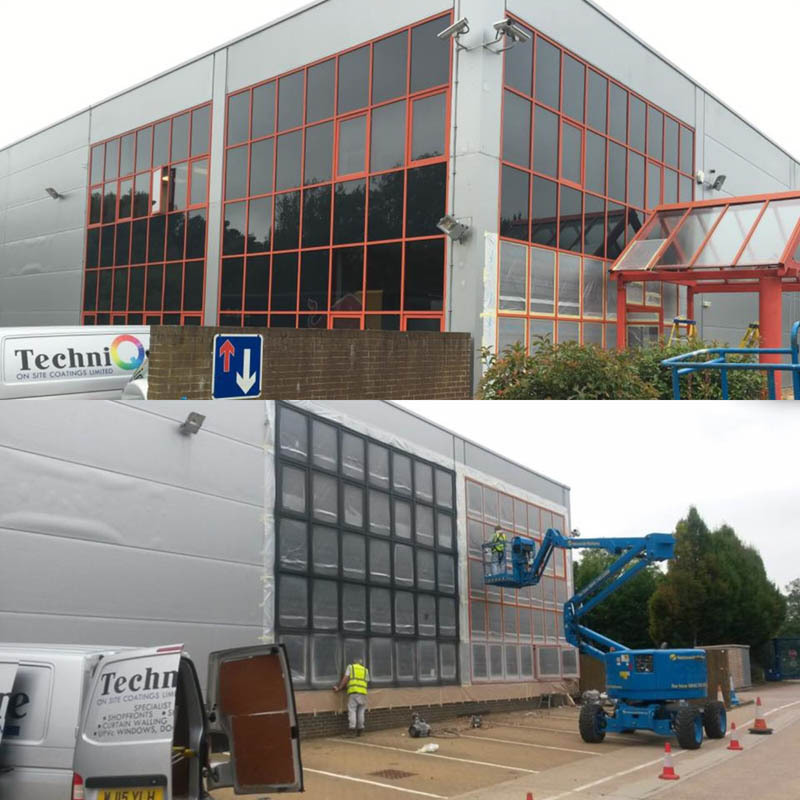 A cost effective way to revitalise curtain walls is to re-spray, at a fraction of the cost of replacement, a complete re-spray can refresh and transform the look of a building.